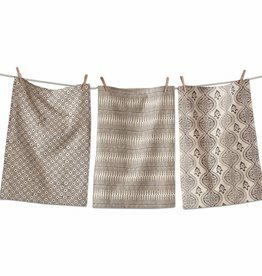 100% cotton with hang loop for easy hanging. 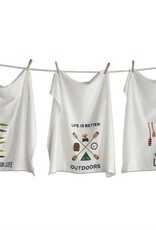 great for every kitchen and style. 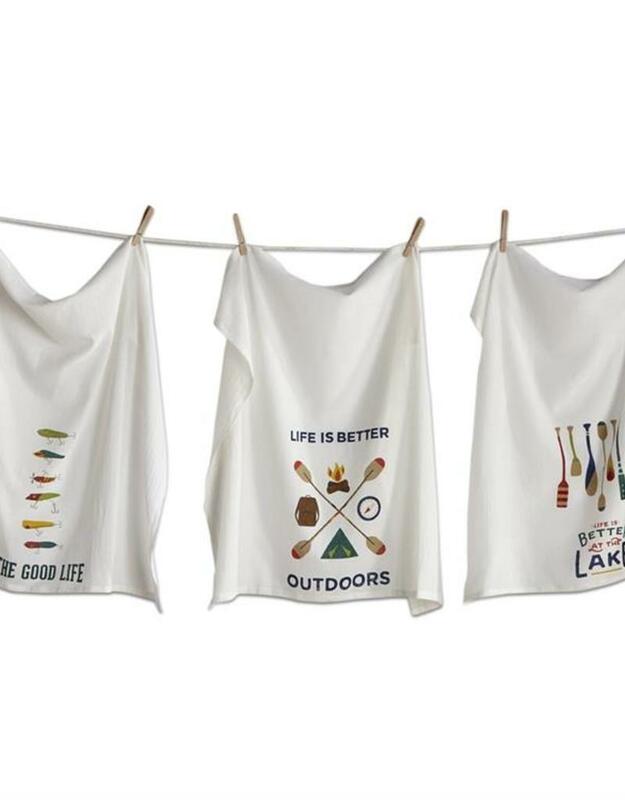 3 designs: life is better outdoors, the good life & life is better at the lake. 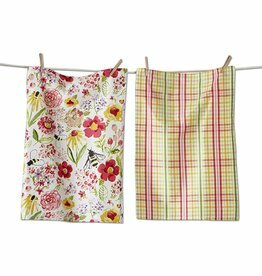 These dishtowels are made from 100% cotton, making them extra absorbent for drying dishes.